PHILIPPINES. Manila. 2013. Jesus Julian (9y) skypes with his dad in Dubai. They normally skype every day, when the father has his lunchbreak. 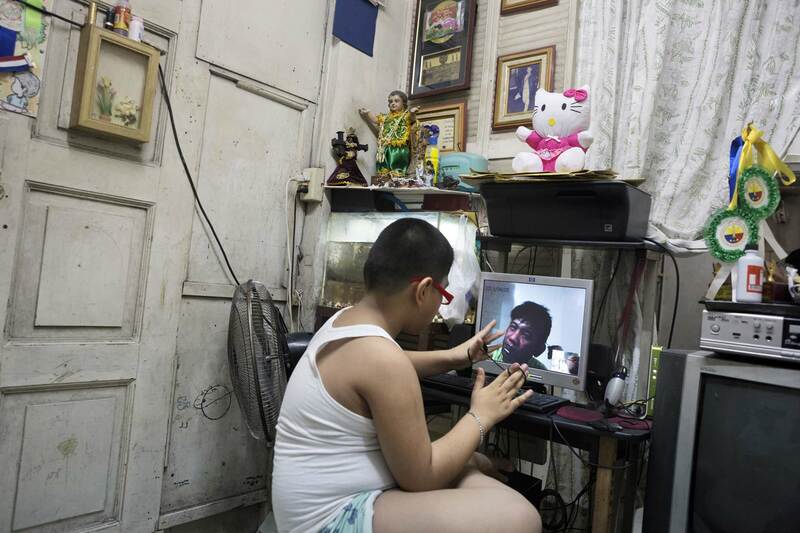 Parenting by skype and telephone has become commonplace in the Philippines, with so many young adults going abraod to support their families economically.